The For-Your-Little-One nursing pillow is not just for nursing and its many uses makes it a value-for-money choice that has practical applications during pregnancy, breastfeeding, and beyond. Baby Pillow - Nestle your baby comfortably whilst resting. The UK's fastest selling Support Pillow - Buy the best! Breast Feeding Maternity Nursing Pillow with Pink Flamingo pattern. Condition is Used - but only been used a handful of times. Comes from a smoke and pet free home. The cover comes off and is fully machine washable. Also useful to help support baby for tummy time or when they are just starting to sit up. Dispatched with Royal Mail 2nd Class. Usable in pregnancy, breastfeeding and supporting your baby, this pillow is made of an outer cover which is 100% cotton. A maternity pillow is just not for nursing, it can be used for many purposes. 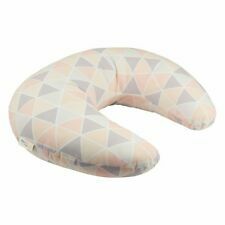 BREAST FEEDING MATERN​ITY NURSING PILLOW BABY SUPPORT PREGNANCY U SHAPE. NEW !!! 3.5 out of 5 stars - BREAST FEEDING MATERN​ITY NURSING PILLOW BABY SUPPORT PREGNANCY U SHAPE. NEW !!! 4 product ratings4 product ratings - BREAST FEEDING MATERN​ITY NURSING PILLOW BABY SUPPORT PREGNANCY U SHAPE. NEW !!! Chicco Nursing & Infant Support Pillow. Brandnew ! From pet and smoke free home. Collection Only ! A maternity pillow is just not for nursing, it can be used for many purposes. This pillow is useful from pregnancy, breastfeeding and beyond. It can be utilised as a pregnancy pillow for back support and breastfeeding pillow to give maximum comfort to your little one. 5in1 (During pregnancy, Back Support, Whilst Breastfeeding, Bottlefeeding, Baby Net). 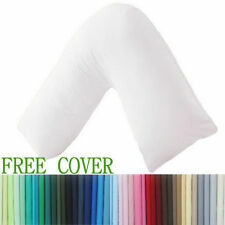 Multi-purpose Support Pillow for Breastfeeding / Nursing Pillow. Soft and Comfy, deeply padded pillow. Deeply Padded Baby Support. The For-Your-Little-One Twin nursing pillow is not just for nursing and its many uses makes it a value-for-money choice that has practical applications during pregnancy, breastfeeding, and beyond. 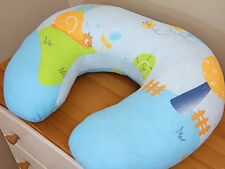 Baby Pillow - Nestle your baby comfortably whilst resting. LUXURY BREAST FEEDING PILLOW - AMAZING COLOURS !!! Pink And White Spotty Breast Feeding Nursing Pillow. Some marks and fading on the covers. Covers can be removed for washing. MADPAC PINK NURSING COVER - FEED YOUR CHILD IN COMFORT & STYLE - QUALITY - NEW! Madpac Babies stands for 'Mums & Dads, Parents & Children'. Nursing cover benefits & features.